Boost Response and Power Output from our 8374 BorgWarner EFR( T4 .92 IWG) FD3S Turbo System. Adaptronic E440D Universal, stock port engine, E85, IGN-1A coils, Vmount, 4" ambient air intake, 3.5" full exhaust, Xcessive Manufacturing LIM, Injector Dynamics ID2000s x 4. Ran out of fuel pump on the top end. nice job Elliot... i am impressed w 420 hp at 5500. SAE or STD? either way it should be a midrange rocket. what's w the fuel pump? what pump, hard wired? i recommend a Walbro 9000267. Looks great! Look at how early that power is coming on! It still makes peak power around 6500rpm, similar to a stock engine. That's pretty good when you're going for a high revving setup in our modern world of turbo engines that fall on their face at 5000rpm. I've come to appreciate stock ports more and more over time. You are using a PWM output from the Adaptronic to control boost with the 3 port solenoid that comes with the turbo? I'm familiar with the software. Can you post a screenshot of your boost control settings? I'm curious what gains you were using on the PID controller and what kind of base duty cycles to expect with the 3 port solenoid + internal gate combination. We are actually not using a electric boost controller.. we are using a manual controller... I brought he car to elliot on monday with no turbo kit and we tuned on thursday... only worked on the car 2 8 hour days... going to retune once I work out the electrical issues and wire up the boost controller. These torque and response numbers are just ridiculous! Would love to see the torque numbers on this turbo at 15lbs and 20lbs on pump gas as that is what the majority of people would run. What fuel is Jacob using on his fd? He just was the other one posted with same kit last week. Torque is greatly increased with the stock port motor. Do you have a plot on a ported engine? I believe Jacob used 93 octane. Looks excellent. Does anyone know if there's much of a spool up diff between a 3.5" and 4" exhaust? I remember when these turbos first came out. They were backordered for so long and decided to cancel my order and switch over to precision 6766. The itch is coming back and I'm really curious as to how the 9180 performs. airflow makes power and it may be this dyno sheet that most clearly proves the point. i am always first and foremost a hp under the curve (HPUC) fan. HPUC is what wins races and also contributes to a more pleasurable overall driving experience. i have an Excel spreadsheet w 69 dynosheets all corrected to SAE with seven power inputs.... from 5000 to 7500. largest total wins. when you shift to the next gear it is important to have hp at 5500! maybe i will repeat that. when you shift to the next gear it is important to have power at 5500.
next time you look at a dyno sheet, i suggest you consider more than the top tick number. one of the ways i evaluate HUPC is at what RPM does the motor make 200 hp. generally i find 200 at between 3900 and 4400.
the 8374 made it at a tick below 3200! for a single turbo that is in another zipcode. of course if you look at the boost curve it is no mystery... at 3200 it is almost at 25 psi! i don't know what effect stock ports have but they are probably more supportive of early power/spool. as may be the 3.5 exhaust. i do suspect the turbo is the key to the early airflow. of course in a racing situation you would almost never see 3000 rpm as, even with the crappy wide spaced gearing and shifting around 7800 you see something in the 5000 area. i do figure that the dynamics that create the early airflow would still be working at higher rpm so the turbo appears to have an edge, though decreasing w rpm, everywhere. not too surprising given the turbine weight among other things. the compressor is just a bit smaller than the Garrett TO4Z, GT500, PT67 which all measure right around 7 square inches. the 8374 hotside is a large efficient 6.23 square inches of a Titanium composite. all hp numbers assume the turbo can be driven to the point on the compressor map which may not be the case. they also assume best tuning configuration. the numbers are primarily for comparison. looking good BW especially for the rotary! That powerband is amazing. Probably the most impressive 13B dyno I've seen so far. I have this big list of dyno graphs that I superimpose to get a good comparison. Of course there is a lot of room for error, but it puts things into the ballpark when all the graphs are using the same units. Notable: The brown line is HppRX7's crazy SSM autocross car ( https://www.rx7club.com/build-thread...build-1013942/ ), with a rather small turbo for quick spooling. Fantastic low end, but the EFR is still ahead. The 8374 seems like a really great match for the 13B so far. Looks like there's breathing room in the middle to turn up the boost, too. the slight dip in torque is from tuning. the torque curve is VERY broad with this turbo setup. i got the turbo and manifold via Turbosource/Turblown, and i highly recommend their kit. I'll be getting one once I have saved enough quarters! TRD, that's correct. i was also helping elliot, doing some testing to make sure the IWG was capable of handling low boost on a ported REW while they were finishing up the jigs for selling the turbo kit as a whole. also, yes, i have a very good fab guy around here (an old friend of mine) Coffey Fabrication and Race Prep, so he made the downpipe for me, and he let me make my own hard lines and do other work at his shop to get the turbo setup complete and ready for the dyno. 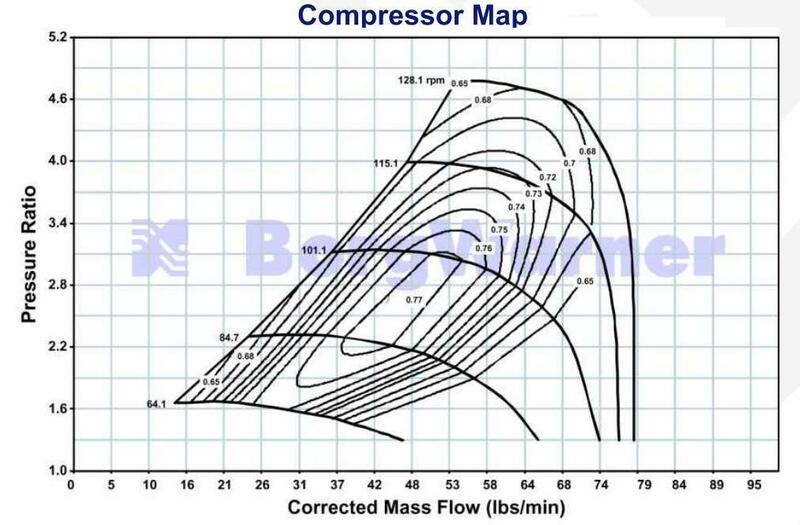 you're better off with your precision probably, there's a video on youtube comparing the the 62mm BB preicsion vs the 62mm borg warner EFR, the precision made better overall power and only spooled 700 rpms slower. Im guessing you are talking about the Supra comparison from a couple years back? 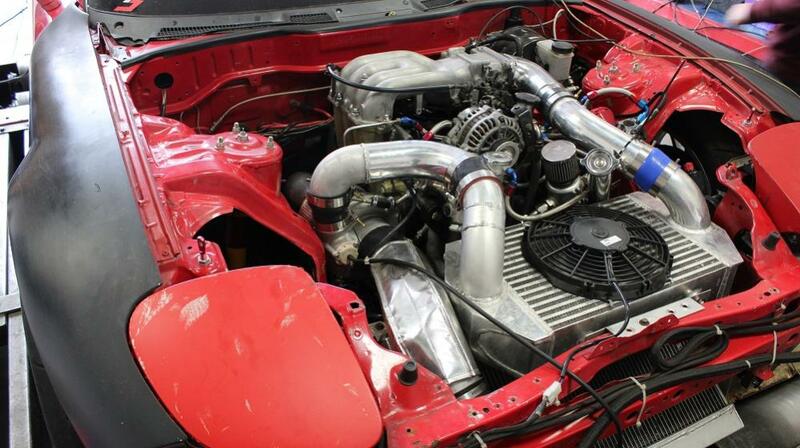 Though that was the case with the 2JZ it hasnt been the case at all with the rotary in the few dynos we have seen. There are several dynos out there of guys running 62mm Precision billet setups and the spool and torque is no where close to that of the EFR. Jacob Cartmill's build thread is direct proof, he went from the 62/62 Precision to the 62mm EFR and testing them on the same engine at same boost levels. Power was similar but response/torque down low was night and day different in favor of the EFR. that may be true in the moderate boost levels, but what about in the higher boost levels ( 30+ psi)? Not sure how many rotary guys will be running a 62mm at 30+ psi. This application will be for autox, street and track guys for the most part. Drag guys dont care a whole lot about torque at 3k rpms. Plus, Jacobs car is smashing on the precision torque wise at only 12 psi. Not to mention his previous setup was built for spool in mind I believe, I say this because he was using a 6262 not the more common 6266 and he was using the .84 turbine housing to help aid in the spool department. I have no plans to boost to 30psi right now and the EFR is still the clear choice IMO of course. We hoped on another dyno again yesterday with Shawn's car. Voltage was mainly fixed, but the fuel pump still ran dry past 5500rpms( down to 40psi , with a base fuel pressure of 50psi and 25 to 27psi). With the voltage from moved from 11.5 to 12.7 to 13.1 volts( still not not perfect, but better) it made 516rwhp and 426rwtq by 5500rpms @ 25psi. The fuel pump's second stage is now going to be turned on and a bigger alternator put on. 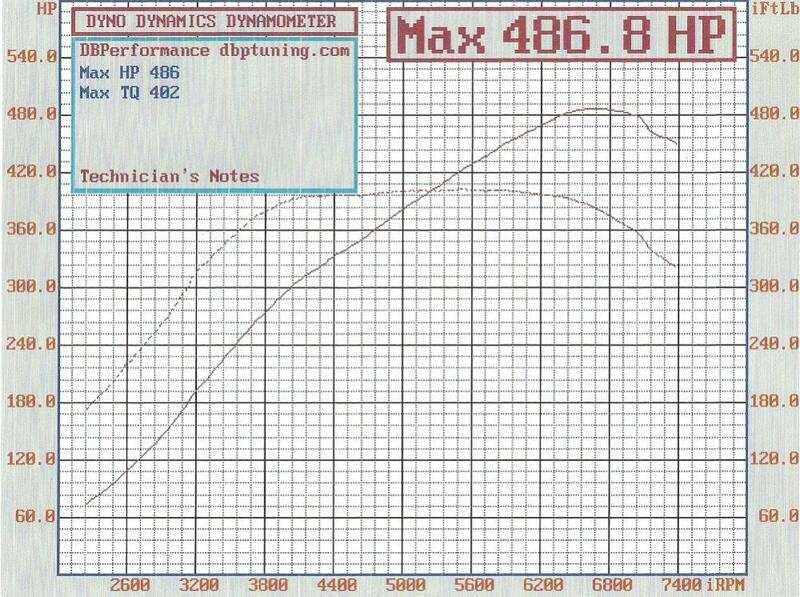 I have a feeling its going to be near 600rwhp all said and done. I intend to turn up the boost even more too. I finally got to ride in the car, and this is by far the best 2 rotor turbo system I have ever experienced. The boost response and dyno charts don't lie, this car is an absolute animal, and feels like a highly modified stock twin R35 GTR. Where did the power increase come from? Having more fuel pump won't give you more power?